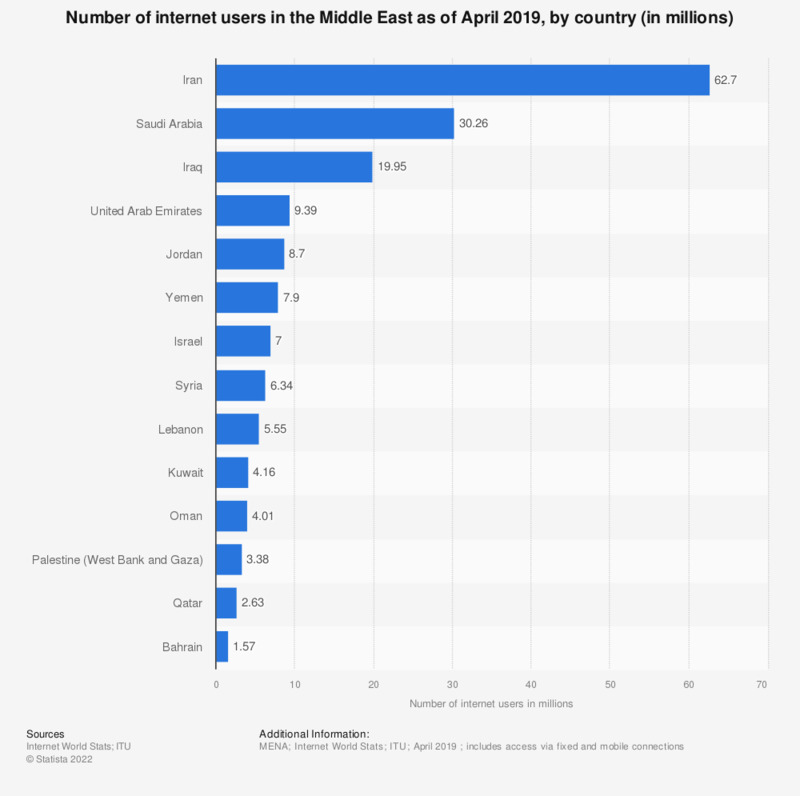 The above statistic shows the number of internet users in selected Middle Eastern countries as of June 2017. As of that month, Iran had 56.7 million internet users. Second-ranked Saudi Arabia had 24.15 million users.